The other day, I ended up at an outlet mall with my keys locked in my car, a 1992 Honda Civic, and needed a cheap way to get back into my car. Here’s the easy method I discovered. Before I go any further, let me just say please don’t use this method on someone’s car without their permission. 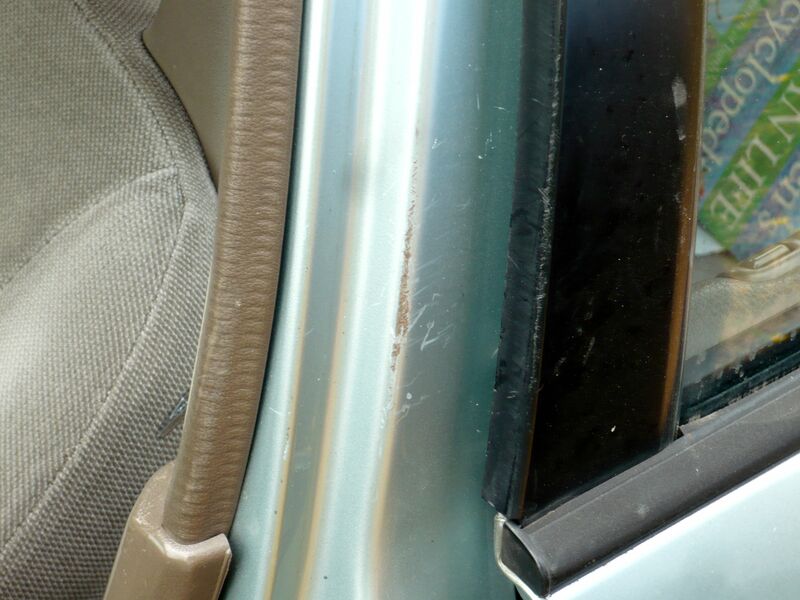 In addition, it’s a last-ditch technique, since it can damage your car’s weatherstripping. However, if you’re a Honda Civic owner like me and need to get into your car, feel free to give this a try. Because I was at an outlet mall, my first thought was that wire hangers would be easy to come by. As I walked around the stores, though, I observed that all their hangers were the plastic kind. I was about to give up on this approach when I walked past a kitchen store. I thought that there MUST be something in a kitchen store I could use, and lo and behold, I was right. After a few false starts, here’s the method that worked. I slipped the skewer into the side of the window (either front passenger or driver’s side will work). I maneuvered the skewer past two weatherstripping barriers, and then the hook was inside the car! This was a strong reminder to me that I should never leave valuables in my car. If you own a ’90s Civic, the same applies to you! Thank you very much! I will give it a try! This is easier and leaves less damage if you can find a wedge/ flathead screwdriver and a cloth/sock and jam it in the top corner of the door to create a crack… Then lift the latch. YOU ROCK! My daughter locked her keys in her trunk. She bought a slim jim…to no avail. I saw your idea and even had the same metal skewers in my kitchen drawer. Less than one minute and we were in. Wish we had seen your video earlier, it would have saved tearing up the door molding and damaging the drivers lock with the slim jim. Glad to hear it helped you, Sharlene! Thanks for sharing your story. Ive just locked my keys in my Honda civic 2004 and I don’t have Triple A. I have tired everything.. My locks there is nothing to hold onto to pull it up. Maybe if I can fit a wire down far enough I can pull up the trunk latch. I’m stress out over this really hard.